While in college, I was a TV news intern at WNAC, now WHDH in Boston. Later, I was a full-fledged TV professional and worked as a 20-something reporter at KOLO in Reno, KXAS in Dallas, and KRON and KPIX in San Francisco. 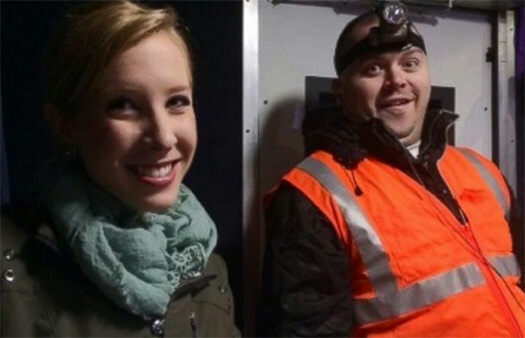 I knew the life Alison Parker and Adam Ward were embarking on. As I saw the lives of Parker and Ward being reported all day Wednesday, I felt like they were fellow travelers on the media path. I was horrified to see their young careers end in a barrage of bullets. But I also knew the path of Vester Flanagan (a/k/a Bryce Williams), born in the Bay Area like me, who also worked at KPIX (I was a young investigative producer there). I felt his pain too. I know how hard it was to make it in a business when you’re a person of color in a mostly white industry. I know what it’s like to be the only Asian American on the air, at a given station or newsroom in the ’70s and ’80s. The first Asian American to sit in the host’s chair at NPR’s Washington studios in 1989. I just went to an Asian American Journalists Association convention and was reminded of it all. I saw young people moving up, less young people hanging on, and older people who have just left the business. Me, I created my own path. When things didn’t always work out, I didn’t take the Defcon option. I didn’t sue anyone for discrimination or seek revenge to harm anyone physically. I just kept finding a way to be a journalist. Clearly, Flanagan was in the throes of mental illness and needed help. When you call the Virginia Tech shooter Cho Seung-Hui “my boy,” as Flanagan did in his writings, you have problems. I just wish he had gotten help more easily than he got the gun he used to kill the first journalists in America since 2007. Sadly, I knew that 2007 victim even better than Parker, Ward, or Flanagan. Chauncey Bailey, the editor of the Oakland Post, was shot dead August 2, 2007, by a person connected to a story Bailey was working on. Ironically, I heard the news while attending an AAJA convention that year. Chauncey was a colleague in the ethnic media in California and often appeared on my “Meet the Press” roundtable program of ethnic journalists that aired throughout the state. I didn’t initially connect Chauncey’s death with the Virginia shootings. Parker and Ward were doing a live shot on a garden-variety feature story with a Chamber of Commerce person. Chauncey was doing an investigative report on a Muslim bakery. But it doesn’t matter. A dead journalist is a silenced journalist. In places like the Philippines, journalists are killed all the time. The Committee to Protect Journalists reports that 77 journalists have been killed in the Philippines since 1992. It’s not supposed to happen in America, where the First Amendment gives us all the license–the right–to speak and report. But there have been 5 journalists killed in the U.S. since 1992. That number went up 40 percent just on Wednesday. This doesn’t mean that journalists aren’t “killed” or silenced in other ways every day. 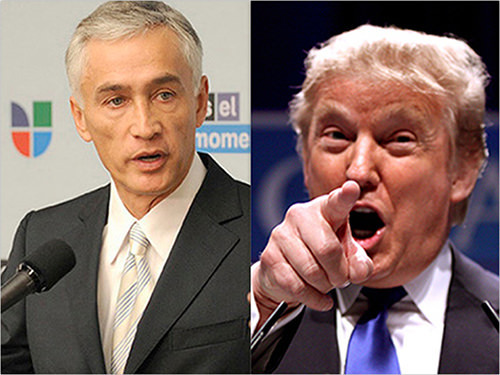 If the Parker and Ward deaths didn’t dominate the news Wednesday, the silencing of Univision’s Jorge Ramos would have. If you saw the outburst of Donald Trump at his own news conference, then you saw a public display of racism for which he has yet to apologize. While decorum is to be respected, the need to get the news is more so. When journalists are compliant and “on bended knee” waiting for their handout from a newsmaker, it takes courage to do what Ramos did. He wanted to know about Donald Trump’s immigration plan, the details of which Trump has yet to share. That’s the news. Ramos was well within his right to ask the question, and to demand an answer first. And whomever Trump called on first should have been ready to defer. Because the immigration question was the most newsy thing that Trump could have shared, if he was willing to talk and not dodge the question. But then The Donald has made his feelings about political correctness very apparent. He doesn’t believe in it. Unless the correctness suits him and is defined by him–such as calling on handpicked compliant reporters at his whim and scolding all those who dare to challenge him. What really drew my ire was seeing Ramos being shoved, touched, and handled by one of Trump’s henchmen. It gave me chills to see it. That’s one step toward Roanoke. Or Chauncey Bailey. As a reporter, I’ve talked to high ranking newsmakers on more than one occasion and have been told to shut up and get out. I’ve had my mike turned off. I’ve been physically taken by the collar and shown the door. When that happened, I was just stunned. That’s why we have a First Amendment. So in this one week alone, we have Trump thumbing his nose at Ramos and the First Amendment, and then with his anti-birthright citizenship ideas, dissing the 14th. There are 25 more amendments to the Constitution he can trample on. The GOP already has a problem with blacks. The Ramos incident halts any thought of attracting Latinos. And Asian Americans? All the anchor baby talk by Trump and Jeb Bush this week, especially with Jeb saying it was really “Asian people” he was talking about, energizes the same coalition that put Obama in for two terms. Both Trump and Bush have mentioned “political correctness” at the core of the pushback they’re getting. Recently, The Atlantic‘s Caitlin Flanagan did a piece suggesting that the reason we’re seeing a heightened sensitivity is due to a generation of identity politics taking hold. And so what? What would be better? A rising majority that stays silent and says nothing? Compliant ethnic journalists who fail to represent their viewers and readers and ask softball questions of white candidates who want to be policymakers in a new America? What we’re seeing isn’t political correctness defined by identity politi cs. What we’re seeing is political awareness of large groups that until now were not part of the equation. They were used to their own silence. And so were all the people in power. Now, however, these groups have emerged and must be addressed. They are empowering Jorge Ramos and other journalists of color to ask different questions from the white mainstream press. Ramos and others who have fought to have their voices heard are reporters who know the importance of getting the right question answered once they get a foot in the door. Ramos ultimately got some answers out of Trump when The Donald let him back in. But people better get used to it. It’s a different America, and it has nothing to do with political correctness and everything to do with political inclusion. If you don’t like it, expect a furious debate. That’s also thanks to the U.S. Constitution and the First Amendment.